Our fully integrated SoleraTec solution provides you with a means to retain your video surveillance data longer while keeping up with the storage capacity required for increasing camera resolutions and frame rates. At the same time, you can reduce your storage costs. Traditionally, video surveillance data has been kept on DVRs, NVRs, or NAS storage devices, resulting in high costs and relatively short retention times. Our integrated SoleraTec solution allow you to create low-resolution companion files for each video that is kept on disk, so all video is readily accessible, thereby minimizing cost. In addition, the system also makes copies of the raw video and archives the to digital tape. This approach keeps high-resolution video available for long retention times while it takes advantage of low-cost digital tape technology. In addition to the archiving solution, SoleraTec provides its own video management software (VMS) while also integrating with other leading VMS such as Milestone Systems, OnSSI, and Exacq. What is SoleraTec Phoenix RSM? 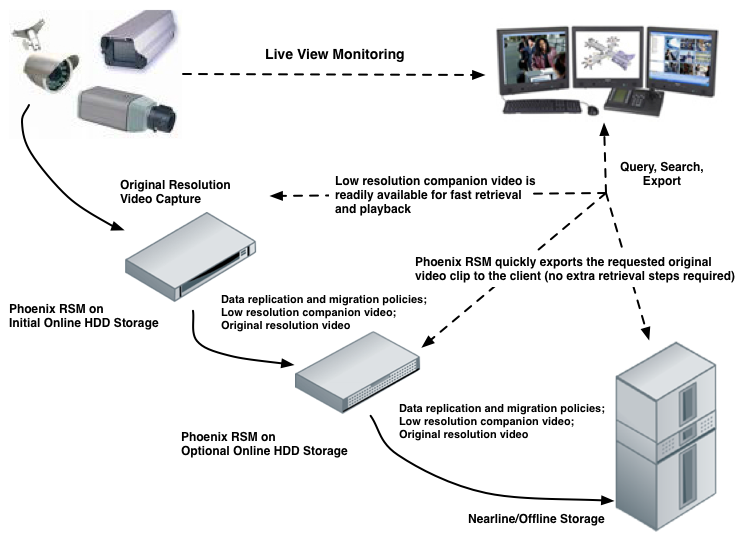 SoleraTec Phoenix RSM (record, store, manage) surveillance video and storage management software lets you record high-quality video, store it for as long as you need, and manage it so that you easily locate and play back any particular moment of interest. Phoenix RSM software delivers ultra-fast search and video playback as well as complete video lifecycle management for the unique retention needs of organizations of any size. Enable storage consolidation: It is common to store data locally at many different physical locations; for example, on individual DVRs or NAS storage devices. We deliver an integrated software solution that enables video surveillance data to be collected at geographically separate locations and consolidated into a single archive. This enables data from many locations to be searched, viewed, and analyzed by a single application. Martel INCLUDES the Martel Video Server (MVS) Digital Video Evidence Manager Program with the Martel DC3 Police Digital In-Car Video System as well as every Vid-Shield Police Body Worn Video Camera at no extra cost. This Windows based utility program can be installed on a station computer or laptop to provide additional search, archiving and viewing for your fleet of Martel Police Car Cameras. The MVS utility program provides tools for scrutinizing the video on SDHC flash cards and is key for retrieving and securing evidence. Retrieval of a previously recorded video has long been a time-consuming task. The MVS fixes this by giving you multiple options for lookup. Searches can be done by Time and Date, Officer Name, Car Number, or Event Notes. For example you have on your computer 6 months of video, you just open the Martel Video Server Digital Video Evidence Manager Program, click search, type the time of the stop and presto you have the correct video file playing. Snapping Digital Photos: With the MVS program you can freeze frame the video and simply press print to get the exact digital photo you need for court. Federal & California SDVOSB Sole Sourcing! 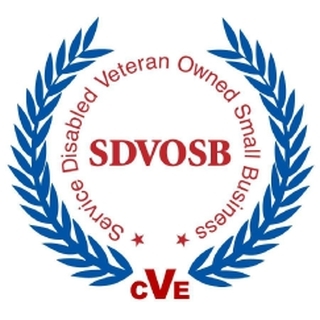 The Service-Disabled Veteran-Owned Small Business (SDVOSB) certification allows the opportunity for Sole Sourcing. Wild Rose 911 can handle your Data Storage, as well as, your Body and In-Car Camera needs using either SDVOSB(Federal) or CA DVBE through our partnership with DiscoverIT Solutions. Wild Rose 911 is also a Certified CA Micro Business as well.